Snakes won’t get close to this one! 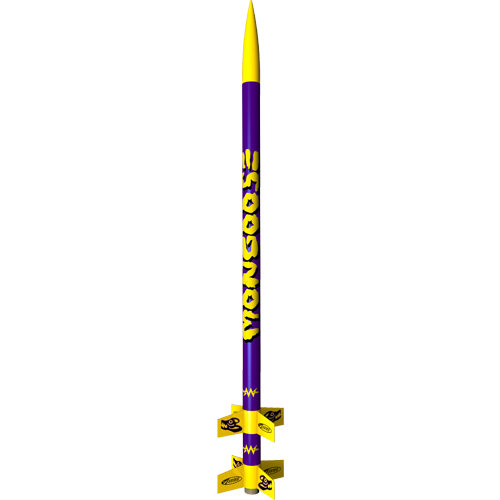 The Mongoose is a two stage rocket that builds into one over the top, high performance rocket! Soars to astonishing heights of over 1,600 feet using the standard engines. 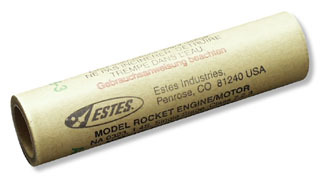 The Estes Mongoose is the perfect first time building and flying experience for a newbie who wants to try their hand at flying a two stage rocket. A two stage rocket has two sections of the rocket with the engines stacked or staged one on top of the other. The lower or first stage contains a booster engine that kicks the rocket off the launch pad, and the upper or second stage has a standard engine inserted into it for extreme flight altitude. Recovery is usually by parachute or streamer. The action is always hot when flying a staged rocket! The Mongoose can be flown as a single stage rocket or add a booster engine and watch this beast soar to astonishing heights of over 1,800 feet. Standing over 26 inches tall, this highflying rocket will descend back to earth on a colorful preassembled parachute. this rocket is such a good project and super fun to put together!! The build was easy, straightforward and fast. It gives great flights staged, and flys really well as single stage model! I highly recommend for your first staged model. This is my first two-stage rocket and the plastic fin set makes it easy to build and durable. It went plenty high with B engines and probably won’t recover it with C’s. This one worked well with a booster, went so high I couldn’t find. Haven’t found where it landed yet. Flown this rocket 2 times. The last time, I for the life of me couldn’t find the first stage. It’s a real good looking rocket though. Great Rocket but use small engines. I shot mine of with b6 engines and it is gone. It’s a great rocket and easy to put together. Just make sure that you have a large enough launch space. I love flying this on a B6-0/B6-7 combo. Unfortunately the long upper-stage body tube is flimsy and damages easily. The plastic fins make construction easy. I have bought about three of these, and they fly great! I also love the Estes company; I had a defect or something with a Mongoose a few years ago, then they sent me a new one and a Heli-cat. Back to the subject, the Mongoose is amazing, it flies very straight, and it’s just perfect! I recently bought the mongoose rocket and love it. It works like a charm. During the building process some of the pieces put together great while some needed some attention. On one piece i had to get sandpaper out because it was just to big. It was the piece that connects the booster stage to the normal stage. I look forward to shooting off my first 2 stage rocket.